Our Pumpd Nutrition SMOOTHIES are more than just delicious, they're packed with REAL FRUIT and natural ingredients. We're also donating a portion of proceeds to St. Jude Children's Hospital for Cancer Research. Stop by Pumpd and see how we make our smoothies right in front of you, so you can see how we use REAL Fruit. Unlike other stores that turn their backs while they add banana powder. Yuck! We do NOT use flavored powders or artificial sweeteners. And BEST OF ALL - our healthy delicious SMOOTHIES & Supplements are Wholesale to the Public at amazing LOW prices. 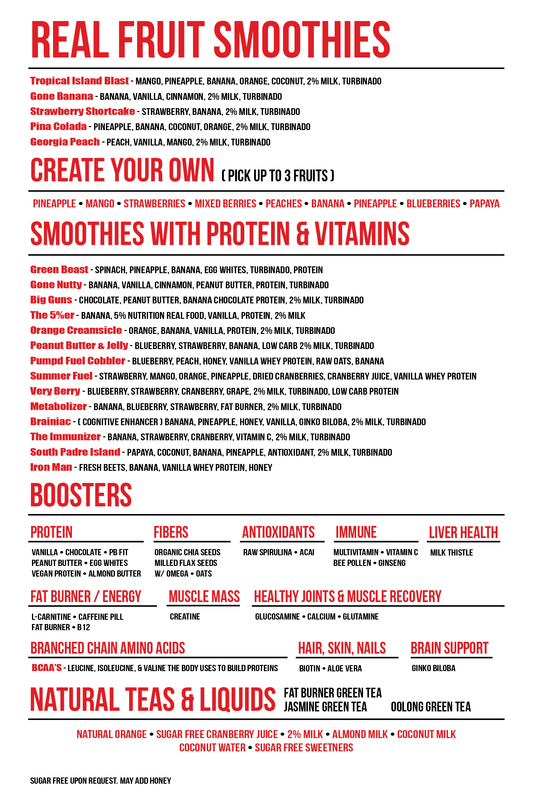 Get YOUR smoothie NOW at Pumpd Nutrition!